Over 6000 SaaS Founders, Sales Leaders and Individual Contributors meet at regular events. Connect, Learn, Grow and Network with leaders from companies like Salesforce, Slack, Linkedin, GoCardless and many others by subscribing below. A community for SaaS Founders, Sales Leaders and sales professionals in the UK who want to join them. Sales Confidence is a growing movement that champions the UK’s SaaS Founders and Sales Leaders and the next generation of SaaS sales talent. A fast growing community of SaaS professionals, we love our work, are excited about helping build and grow the digital economy and are passionate about helping young people as they progress through their careers. Over 6000 SaaS Founders, Sales Leaders and Individual Contributors. It’s great to see that startups are finally focusing more on generating revenue and not only on who raised the biggest round of investment. I’ve really enjoyed the Sales Confidence events I’ve attended so far as they bring together a group of sales experts and those who want to learn from them. All this helps the whole industry improve by raising the sales performance bar. Sales Confidence attracts impressively high-quality speakers and attendees. It’s a great way to develop your professional network and learn from the best in the business. I love attending and would encourage all of my peers to do the same! I’m really excited about the future of Sales Confidence because I got huge amounts of value from the first event. I took away pages of notes with some pieces that we’ve been able to implement already. Hearing from UK based SaaS sales leaders was particularly valuable, and Sales Confidence is one of the only events that offers this. Sales Confidence provides a unique opportunity to network, learn and gain insight from the UK’s SaaS leaders and founders of the future. 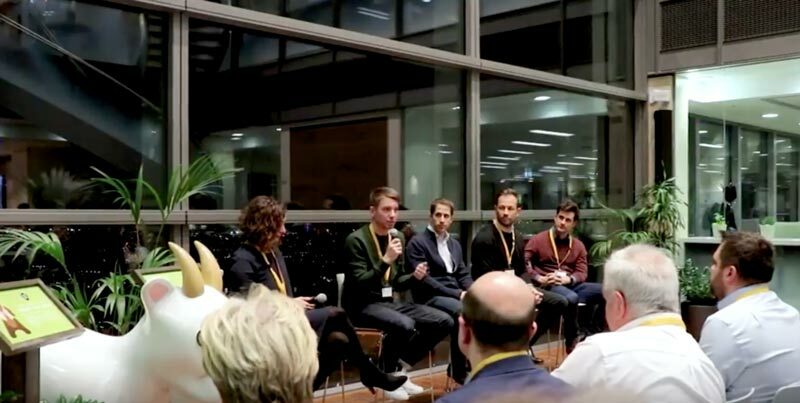 Whether a sole contributor, sales leader or founder of a growing business, the events I’ve attended cater towards all 3 audiences and it’s incredible to see the collaboration and knowledge sharing in action. Insightful speakers and a high quality audience. It’s exactly what London’s SaaS community needed. Speak directly with the hiring managers about career opportunities of the top B2B SaaS companies in the world.